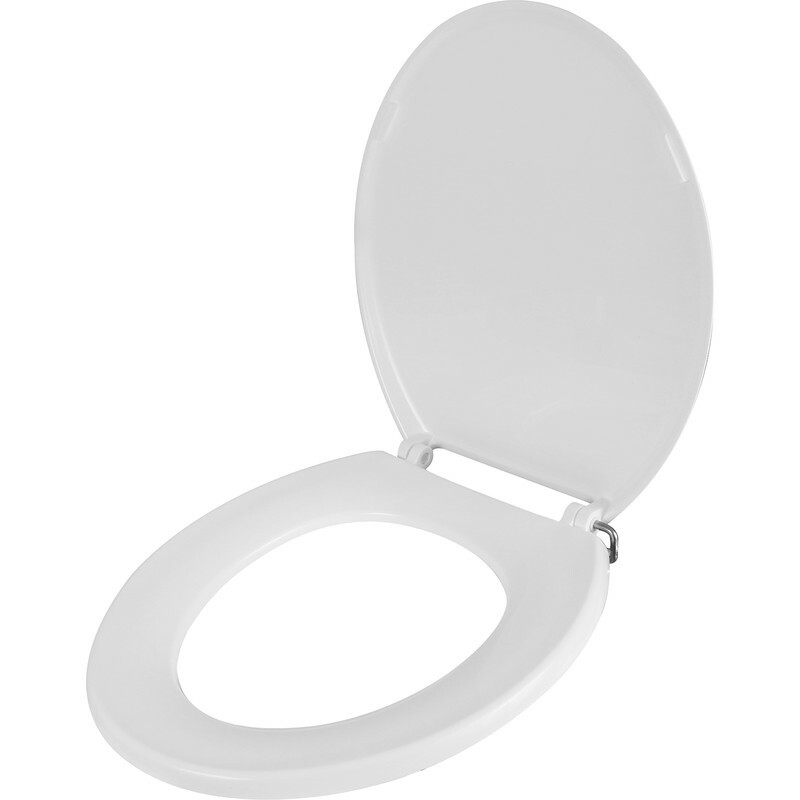 Mid range shatter proof toilet seat with a choice of hinges. Fittings included. Celmac Wirquin Flamenco Thermoplastic Toilet Seat Stainless Steel Hinge is rated 3.6 out of 5 by 34. Rated 5 out of 5 by Mrb01 from Easy fitting This is a great product, that does the job. It was very easy to fit and works wonderfully. Rated 1 out of 5 by Berty from poor quaility moves about on pan,bought another poor quaility moves about on pan ,brought another, but had lost box so could not return. Rated 1 out of 5 by BB73 from Too small; dimensions described incorrectly. The dimensions suggested this toilet seat was compatible, but unfortunately it won't fit our 460mm bowl. Although, the hinges did fit our old seat, the new seat is of no use to us. Rated 4 out of 5 by Jack21 from Excellent Service Excellent service and value as always from Toolstation. Reasonable quality for the price. Easy to fit. Rated 4 out of 5 by Emerald from Suitable for purpose. I bought this to replace a broken seat pending refurbishment of the complete bathroom. Would have been helpful to have some fitting instructions as there were several different ways it could be assembled. Not sure if I've got i quite right.